Every time you begin to plan for your next campaign, do you dread what the agency may be coming back to you with? Is it going to be cost-effective? Is it going to be able to be mailed? Does it lead responses back online? Will offline and online media work together? Why link print to digital media? All these questions become the cornerstone for what you do and how your brand is perceived. First, let’s discuss the cost effectiveness of a printed piece. Does it do the job in its simplest of form? Does it allow you to have customized approach to your clients or prospects? Should the core of your program have the ability to manage one to one campaigns? If you have the data, are you using it? Can you personalize your message with a map to your location or the closest location-based on geotargeting? All these items should be considered as you and your agency are trying to amass the results required to acquire new clients or customers. 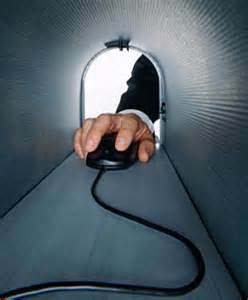 Targeted, personalized messages in a direct mail package or mailer generate higher response rates. Our personalized URLs or pURLS can incorporate your direct mail package with an online integrated approach to marketing; increasing your brand awareness and enhancing your customer experience. Retail marketers are combining media channels to engage clients and intrigue prospects. An InfoTrends study (1), done recently, indicated that a simple mail merge is no longer “enough” to get by or achieve optimal results. Do you have the ability to map your location to the nearest branch, the nearest franchise or the closest solution to the problem your clients’ are trying to solve? When you personalize your piece with information that is timely, relevant and value-added, you can turn those prospects into clients. So the next time you’re about to do a mailing, link print to digital media. If you have personalized information and know buying patterns, make sure you set up the most likely response based on that information. Think about making it simple for your audience to respond – online, in store or to a call center. What should you be doing next? As a comprehensive direct mail marketing solutions provider, we offer you the flexibility to produce, distribute and manage any phase of your campaign. We take our commitment to protecting your brand seriously, and work hard to ensure you get the maximum value for your marketing dollars. At HKM, we can help. 216-651-9500. Call today, and let’s talk.